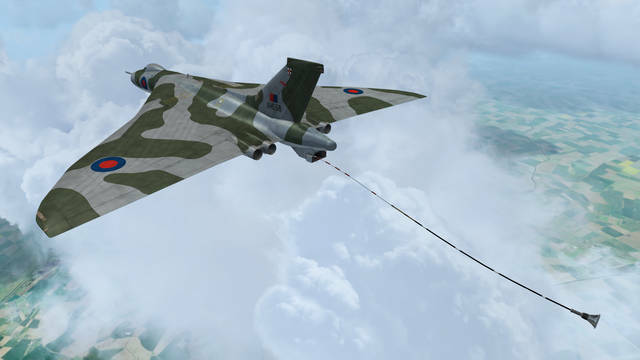 If you're enjoying the Just Flight Avro Vulcan B Mk. 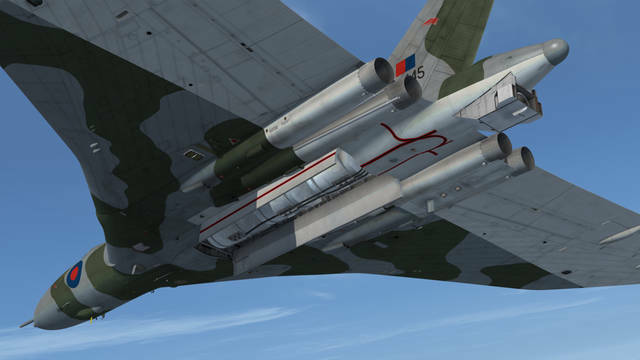 2 and would you like additional variants and paint schemes, this expansion pack provides the K.2 air-to-air refuelling and Maritime Radar Reconnaissance (MRR) variants that saw service with the Royal Air Force. 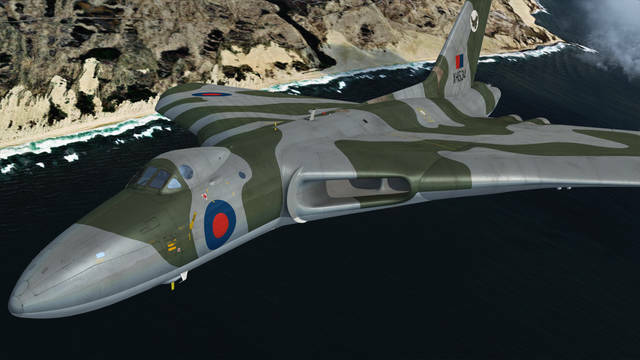 Following the Falklands War, six Avro Vulcan B Mk. 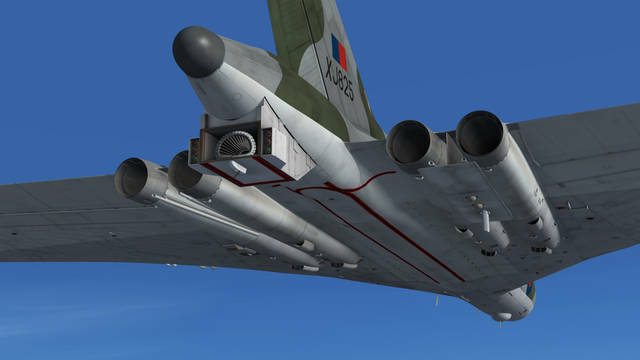 2s were converted for air-to-air refuelling as an interim solution prior to the delivery of VC10 and Tristar tanker aircraft that were due to replace the aging Victor tankers. This conversion consisted of the addition of a Hose Drum Unit (HDU) mounted in the tail cone and three bomb bay drum tanks. The K.2 variants served with 50 Squadron (RAF Waddington) from 1982 to 1984. 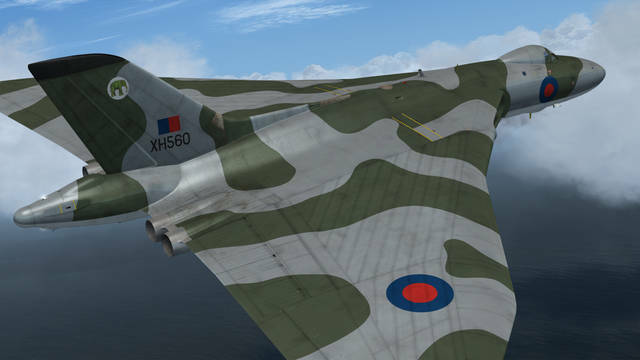 In 1973 nine Avro Vulcan B Mk. 2s were converted for Maritime Radar Reconnaissance (MRR). The MRR variants flew patrols around the coast of the UK, primarily operating at high level and using radar to monitor shipping, but also flying at low level for visual identification and inspection. They had a secondary role carrying out air sampling, flying through airborne contamination following nuclear tests and using air sampling pods mounted under each wing to collect samples for analysis. The MRR variants served with 27 Squadron (RAF Scampton) from 1973 to 1982, at which point the Nimrod took over these duties. See the Detailed Description below for all the aircraft features! 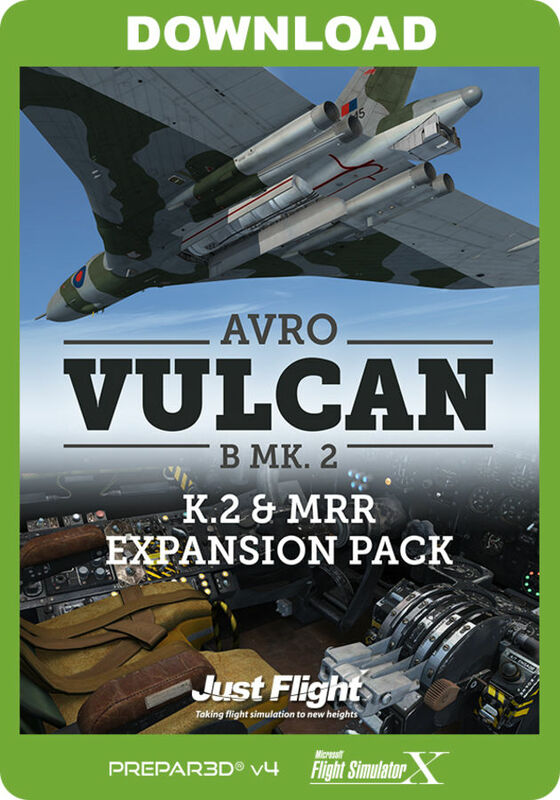 This expansion pack for the Just Flight Avro Vulcan B Mk. 2 provides two additional aircraft which saw service with the Royal Air Force - the K.2 air-to-air refuelling variant with hose drum unit and animated hose and also the Maritime Radar Reconnaissance (MRR) variant with air sampling pods and nose blade aerials. 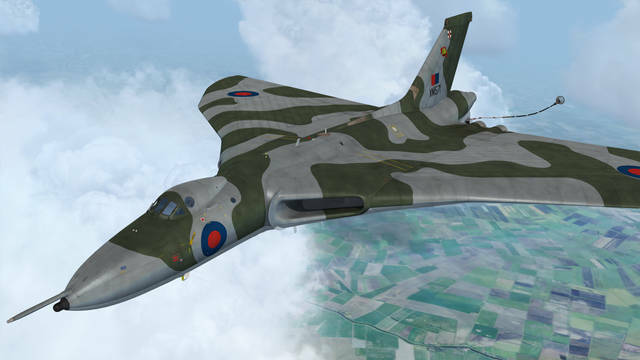 The Vulcan K.2 is supplied with four paint schemes and two paint schemes are provided for the MRR variant.